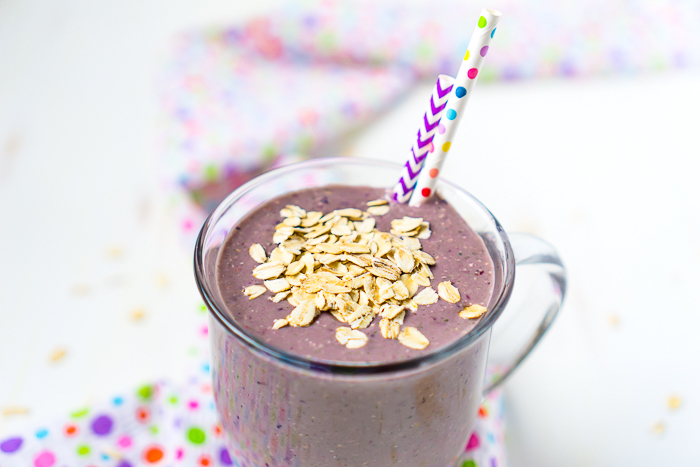 Ginger Berry Smoothie is a delicious fruit smoothie packed with superfoods as well as banana, ginger and oats to potentially help soothe the stomach! Makes it a great smoothie for pregnancy! I was speaking with a friend recently about our experience with trying to start a family and early pregnancy, which made me think of the months of subtle nausea I experienced. To be fair, I was lucky. I did not start or continue the day being sick over a toilet like many friends of mine, but I did have this constant nagging feeling consistently through the first trimester of my pregnancy. Enjoying the right types of snacks and meals helped the pregnancy a lot though (as well as taking the right prenatal vitamin), including this Ginger Berry Smoothie. I remember searching for smoothies for pregnancy at the beginning of my pregnancy, convinced their must be perfect healthy, super foods, anti-nausea pregnancy smoothie recipes that someone came up already. Of course I ended up being a little disappointed but that’s because every body and every pregnancy are so unique. This Ginger Berry Smoothie recipe became a staple for me though as a mid-morning snack so I guess it became my pregnancy smoothie. BERRIES: I include berries like blueberries, blackberries, raspberries and strawberries. Berries are filled with great antioxidants, boost heart health and lower blood pressure. BANANA: I include a banana because of the potassium they offer which is good for both blood pressure and leg cramps, which I definitely struggled with during pregnancy. Plus they’re easy to digest! SPINACH or other leafy greens: Raw spinach is high in folate as well as other great antioxidants. I think it’s important to always eat, but especially during pregnancy, and it’s easy to add to the smoothie without any noticable taste difference. GREEK YOGURT: Good source of calcium and protein. GINGER: It’s been found to help with nausea which means it has become a pregnancy staple. OATS: I like including oats because it coats the stomach a little bit if feeling a little nauseous and keeps me fuller longer. Plus whole grains are good for fiber and iron. It’s been just over two years since we decided to start trying for a family. The decision to try to get pregnant is always going to be a life changing decision – one that can take a month or years of trying. It was also a decision that started with taking a good prenatal vitamin – Nature Made Prenatal Multi + 200 mg DHA to be exact. 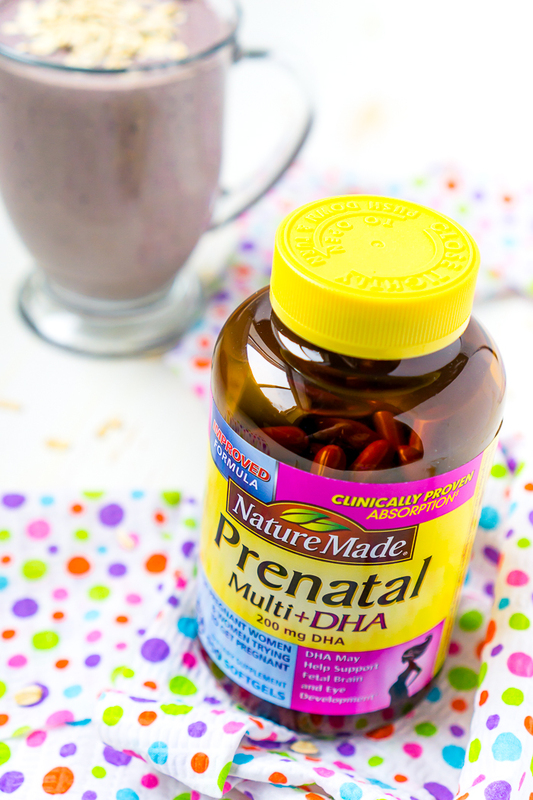 I started taking Nature Made Prenatal Multi + 200 mg DHA 6 months before we started trying to get pregnant after picking them up in Sam’s Club and kept taking it after, too. It made me feel better knowing that my body was getting everything it needed for a baby because it provided the essential vitamins and minerals (before and during pregnancy) including Folic Acid, Calcium, Iron, Magnesium, Iodine, Vitamin B12, and Vitamin D3†.Folic Acid is an important B Vitamin for Women of Childbearing Age and Pregnant Women because it plays a critical role in the proper development of the baby’s nervous system† and may reduce a woman’s risk of having a child with a neural tube defect. Plus, I purposely chose a prenatal vitamin with 200 mg DHA which may help support fetal brain and eye development†. 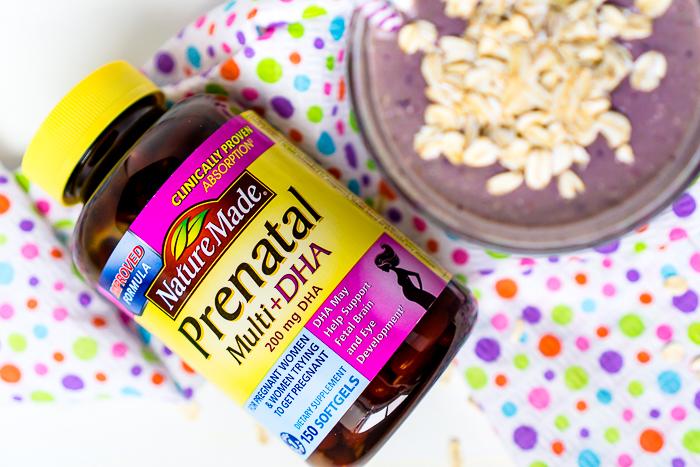 Nature Made Prenatal Multi + 200 mg DHA is guaranteed to meet high quality standards and is made from carefully selected ingredients under strict manufacturing processes with clinically proven absorption of folic acid and iron. It’s free from synthetic dyes, yeast, starch, and artificial flavors while also being gluten free. I found that it was best for me to take my one daily, easy-to-swallow soft gel in the evening with food. As we begin conversations about when we might want to expand our family, it’s reassuring to know one decision is already made – my prenatal vitamin! 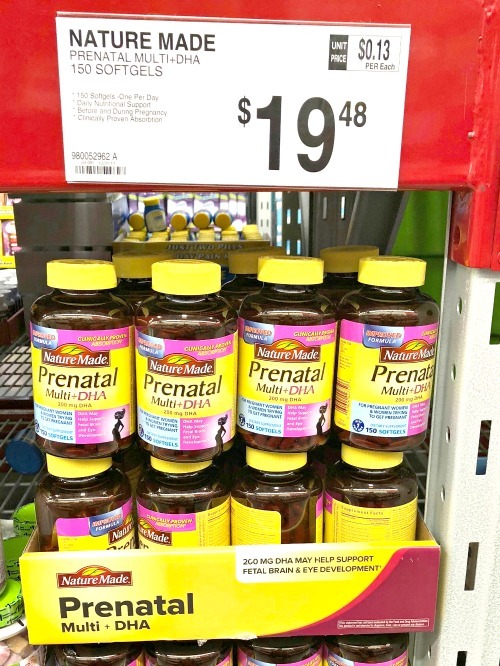 Picking up a bottle at Sam’s Club will again be the first step I take for a healthy pregnancy, and Nature Made will see me through every stage of pregnancy and newborn life. 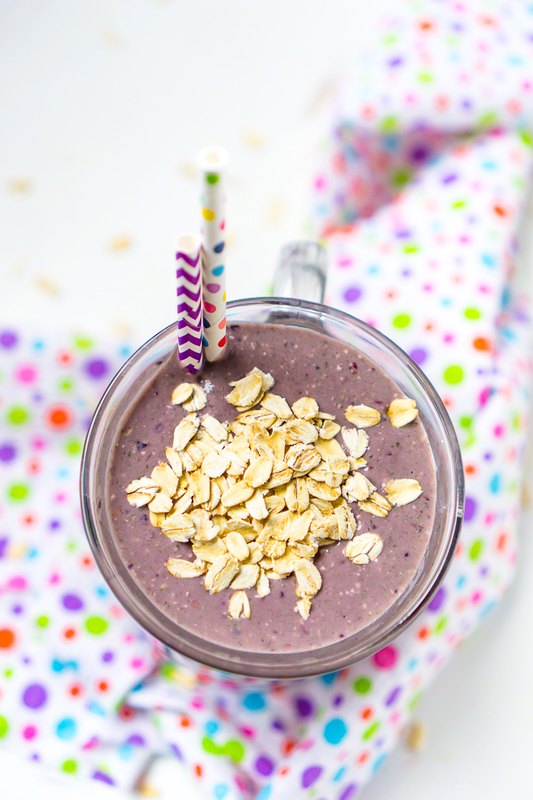 Blend Up and Enjoy This Delicious Superfoods Smoothie – Great for Pregnancy, too! 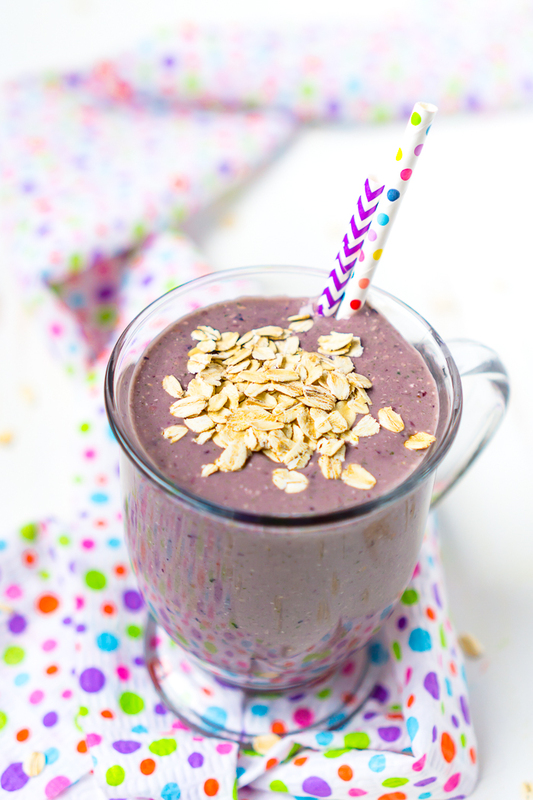 A delicious fruit smoothie packed with superfoods as well as banana, ginger and oats to potentially help soothe the stomach! Makes it a great pregnancy smoothie recipe! Add all ingredients except milk to your blender and blend until smooth. Add a little milk at a time until you reach your desired thickness.